We've decided to showcase some of our finest properties on the island of Sicily, presenting some stunning places to stay during a holiday to the island. 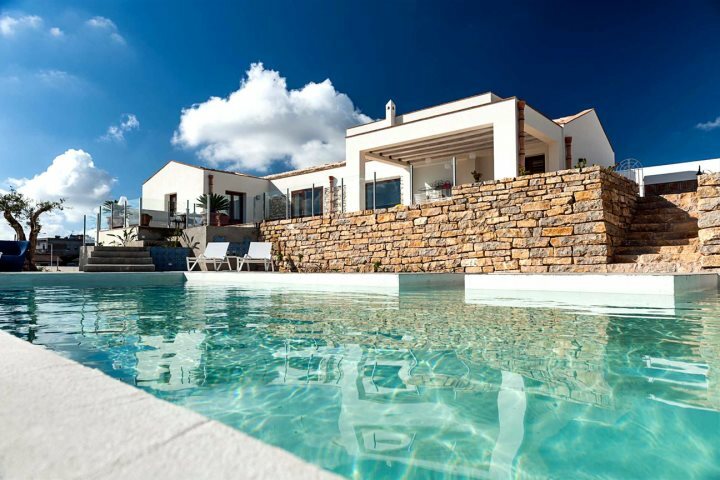 We have a fantastic and extensive range of properties located across the island of Sicily, from modern villas and luxury hotels to charming apartments and homely houses. To showcase our superb collection and help you decide where to stay during your next Sicily holiday, we've decided to put together a list of our top 10 properties in Sicily. Which is your favourite? 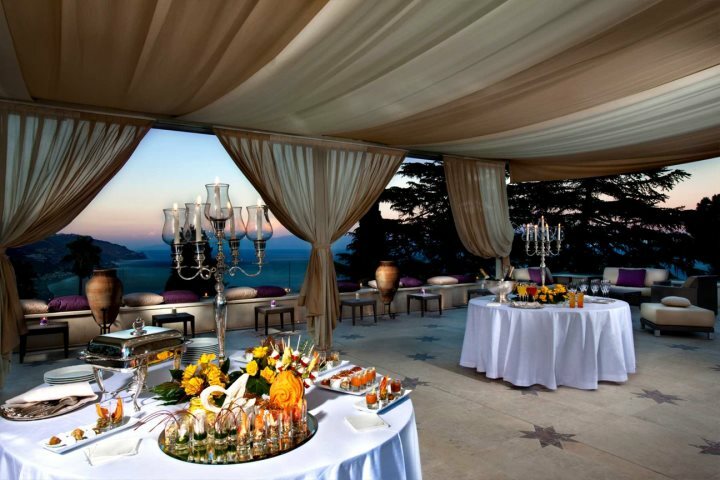 Another gem in Taormina, famed for its glorious restaurant and luxurious gardens, The Ashbee is an impeccable colonial style house, blessed by a tranquil atmosphere as well as plenty of style, sophistication and superb facilities. 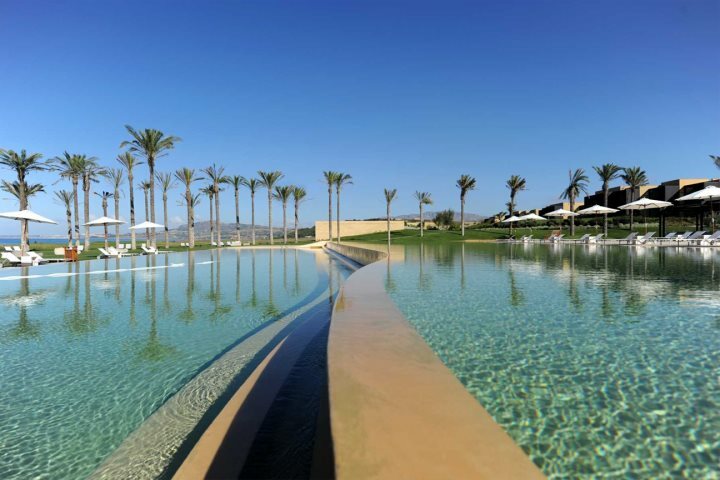 Another dose of 5* luxury awaits guests staying at Verdura Resort, with features such as two championship golf courses, a private stretch of coastline, four restaurants, five bars and plenty of sports facilities ensuring an exciting stay on Sicily's south coast. 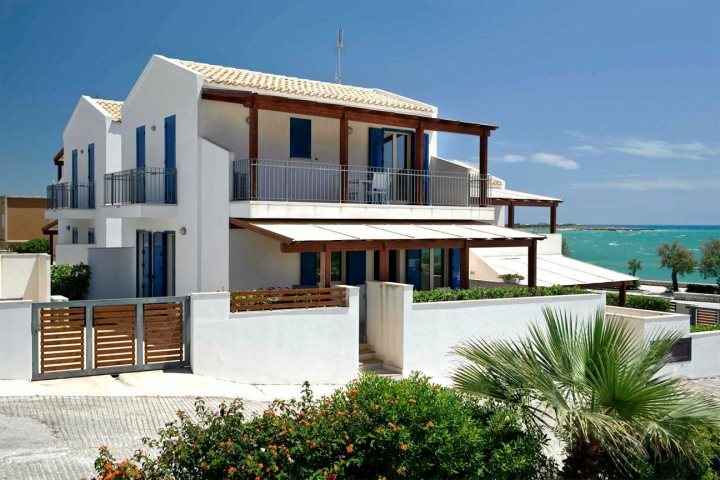 Wonderfully stylish and enjoying remarkable sea views, Villa Siracusa is a very comfortable and rewarding three-bedroom villa in Syracuse, one of the true highlights of Sicily, with its remarkable history and architecture. Enjoying a fantastic location beside the sands of the beach at Giardini Naxos, as well as soaking up some of Sicily's finest views, Hilton Giardini Naxos is a four-star gem just down the coast from Taormina, offering a range of great facilities and room types. 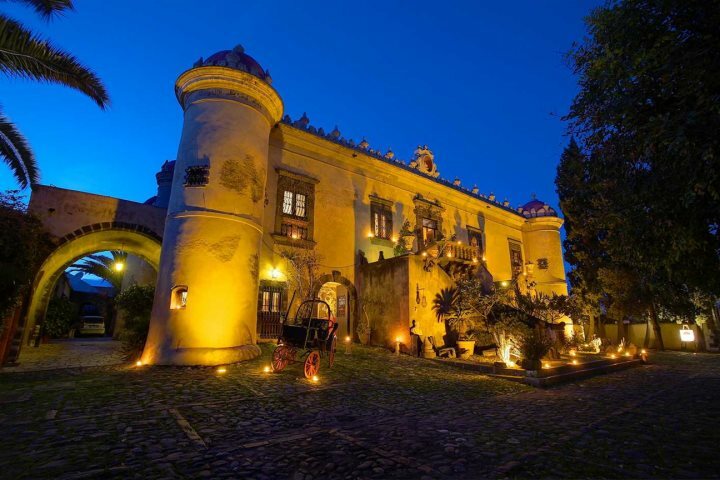 An incredible converted baroque castle, now offering a boutique hotel experience which also combines other wonderful features, such as a private stretch of beach, Castello di San Marco is a unique and rewarding accommodation option close to Taormina. 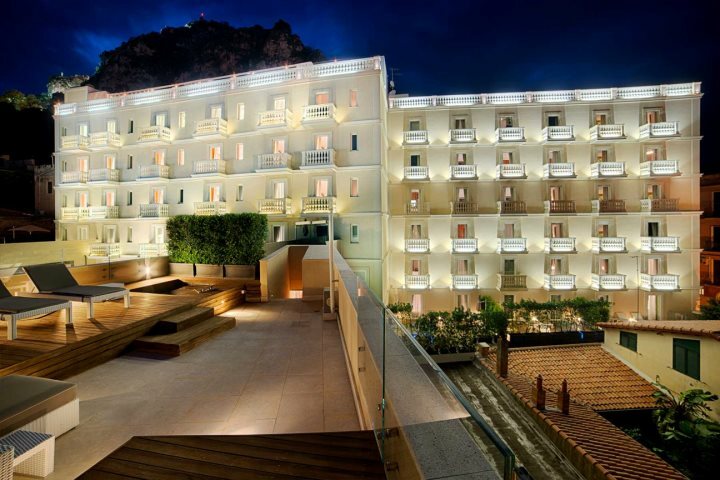 Chic and sophisticated, enjoying a fantastic location amid the heart of Taormina and its countless attractions, NH Taormina offers a good range of facilities, comfortable rooms and some sublime views. Modern, striking and comfortable, Villa Viancu is the ultimate family holiday villa, sleeping up to eight across four bedrooms and boasting features such as a stunning pool area and a dedicated cinema room. 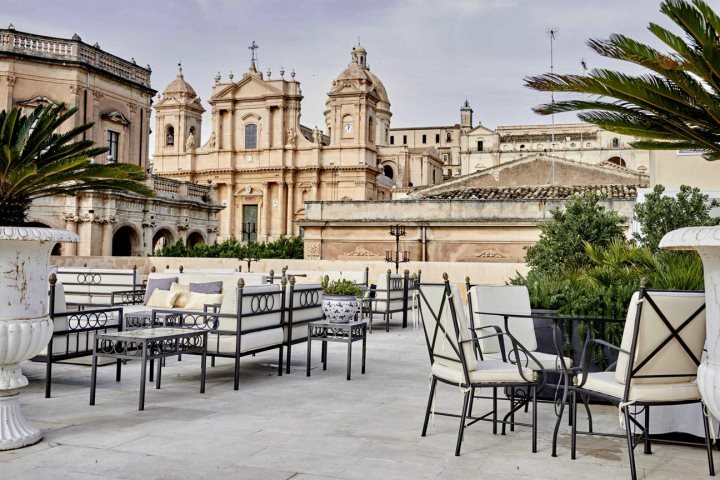 Blessed by a privileged location in the heart of Noto, a stunning UNESCO World Heritage Site filled with remarkable baroque architecture, Gagliardi Boutique Hotel is well worth its place amongst our luxury collection. Comprising two wonderful apartments set beside the sea in Marina di Modica, Apartments Macchia Mare presents a comfortable base for exploring the best of the Val Di Noto region, as well as incorporating some beach time into your Sicily holiday. Blessed by incredible countryside views, best soaked up from the inviting pool area, Villa Colline is undoubtedly one of our most appealing villas, sleeping up to nine guests and promising endless comfort in one of Sicily's unspoilt corners. Now you know where you'd like to stay, find out what sort of holiday you can enjoy in Sicily by paying a visit to our Holiday Ideas page.